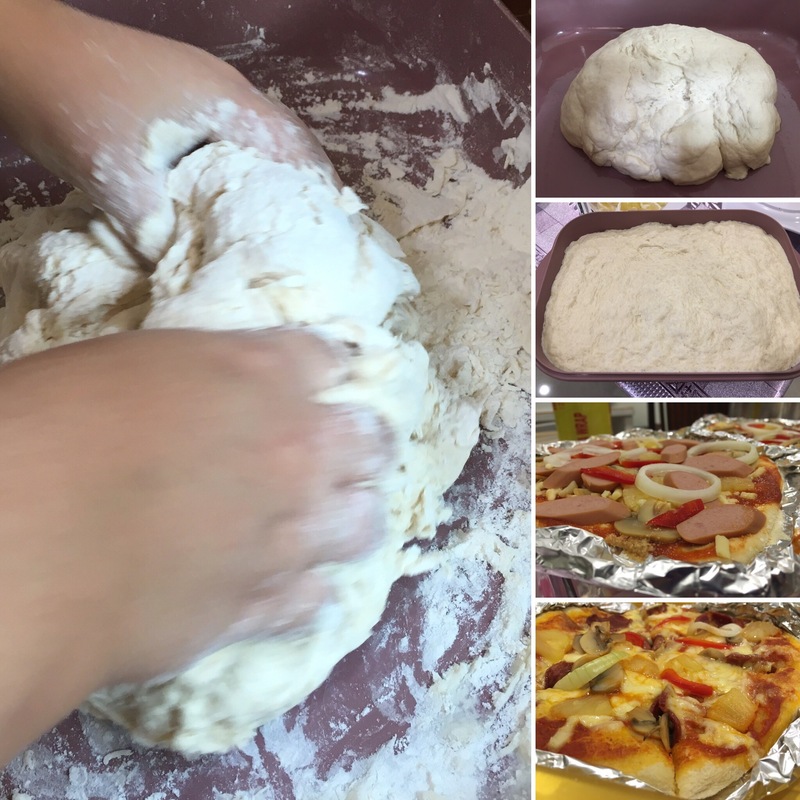 Here is the pizza dough recipe I’ve adapted from fee recipes I saw online. Basically, it is a no knead recipe….if you have a Kenwood Chef mixer 😂😂. Pour all the flour in a large container and create a well in the middle. Put all dry ingredients and the oil in the well. Add water to the well and mix little by little. When all water has been added, form a dough with your hands. Put in your Kenwood Chef mixer and knead using the hook attachment for 5-7 minutes on setting 3-5. Start with 3 and work to 5. Leave the dough to rise for 1-2 hours. Cut into pieces and flatten with rolling pin, then it’s ready to use!